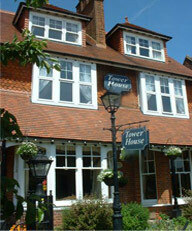 We get some great feedback from people who visit our St Leonards (Hastings) guest accommodation from all over the world. Beautiful atmosphere, accomodation and excellent stay.Look forward to returning. Lovely room. Good breakfast. Cheers. Lovely atmosphere. Good food & hospitality. Lovely animals, very comfortable. A warm haven, on a wet weekend. Shame about the rain, but a fantastic stay. It was my 30th birthday, the room was gorgeous. French furniture, with an oak staircase leading to a sunken bathroom, and the bed was decorated with rose petals, & ballon's (complimentary). My boyfriend had arranged with the owners to have Champagne, flowers and chocolates,waiting for me. A real treat. Unforgetable. Will definately be back. Can't wait for the treatment suite to open. This is our 4th stay. Why do we return? Fab four poster room, friendly hosts, and great breakfast. Also the girls have great local knowledge, so we never miss out on the must do's and the best places to eat. Planning our next stay. Only stayed one night, would loved to have stayed longer. Stayed in room 8, very retro. Loved the wall paper. Great room as also had a sofa to sprawl on. Shame I had to work, while sprawling. Lovely full english breakfast. Great welcome. Made to feel at home. Lovely surroundings. Would come again. Well done ladies, you do a great job. Wonderful place, hope to be back soon. Loved the cats, you had 4 to choose from. My favourite was Oliver. Very comfortable, and homely. Great food. Our room was beautiful, clean and fresh.Lovely egyptian cotton bedding. On behalf of my sister and myself, we would like to thank you for your hospitality, at a really difficult and sad time for us. The homeliness of Tower House really helped. We will always remember your kindness. Thank you very much, for all you've done for me. Thank you for your great hospitality. We were really impressed by your kindness. A big thank you for the tips concerning all the sights of Sussex. Thank you very much for the excellent room. I enjoyed the guest house very much and hopefully will return one day. Thank you for making my stay an easier one. I appreciate the kindness and special care during a very difficult time. I hope you never run out of Nutella. Top Banana. Lovely. Great stay. Many thanks, made so welcome. The children loved the ballons left out for them, and the colouring and sticker books. Blank card was given to them by Carol so the girls could make, their own cards. A lovely, peaceful stay.the owners were very attentive. I was there for Hallowen, and Carol provided a large bowl of sweets for the children who live in there street, who come trick or treating, with their parents. The costumes were great, the Hotel is real part of the community. Great atmosphere. What comfort. Beautiful room. We were in room 1. Loved the conservatory. Wonderful service. Really gone out of your way. Lovely room, slept amazingly well. Had a lovely time, clean and homely. The Christmas decorations are beautiful.The real fire and real tree make such a difference. 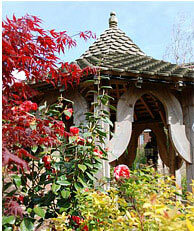 the owners attention to detail is exceptional, we are already booked in for valentines. Thanks for a great stay. Really loved it. 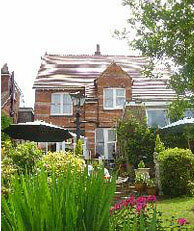 You can book our St Leonards (Hastings) guest accommodation, or find out more about our rooms.